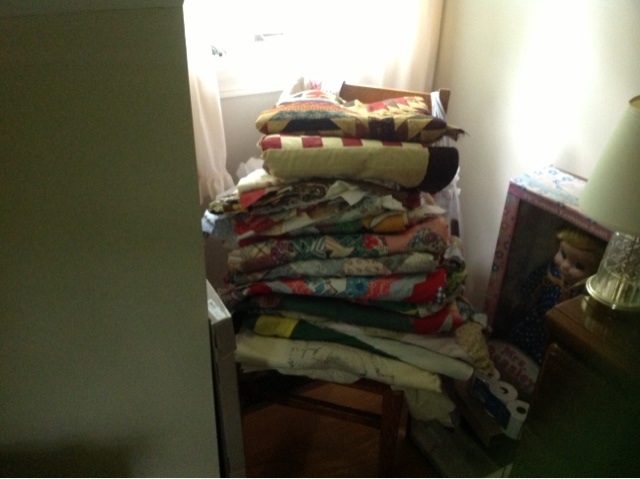 As I was digging thru my vast mountain of unquilted tops .. 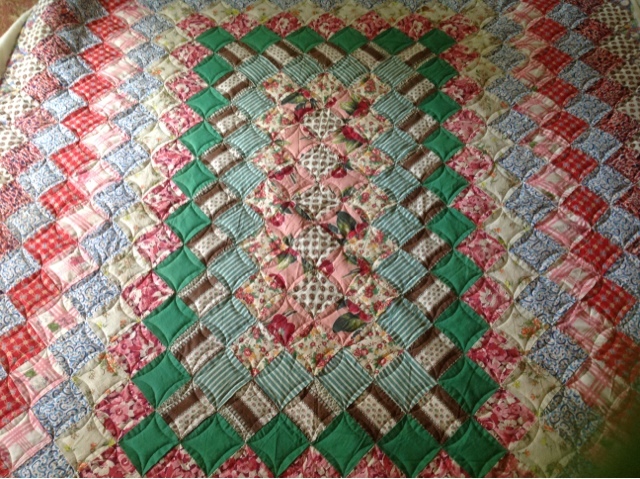 So this quilt is a treasure that I can't wait to snuggle under...I know there is "Love In Every Stitch"
Since I had a little extra space at the bottom of that quilt back & it was on the machine. 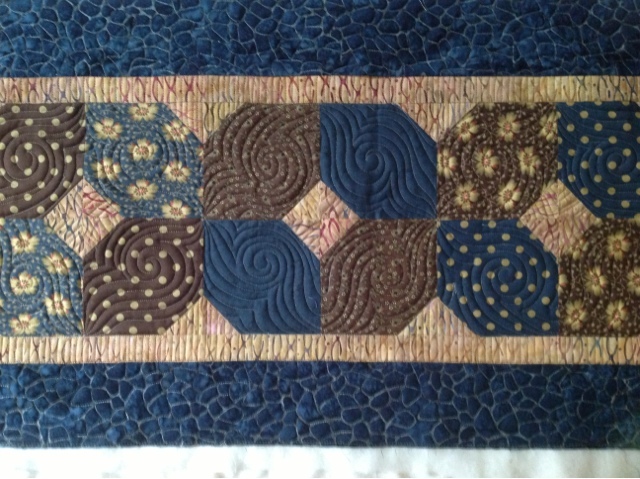 I pulled out this little table runner I pieced a few weeks ago at retreat and got busy quilting it.. 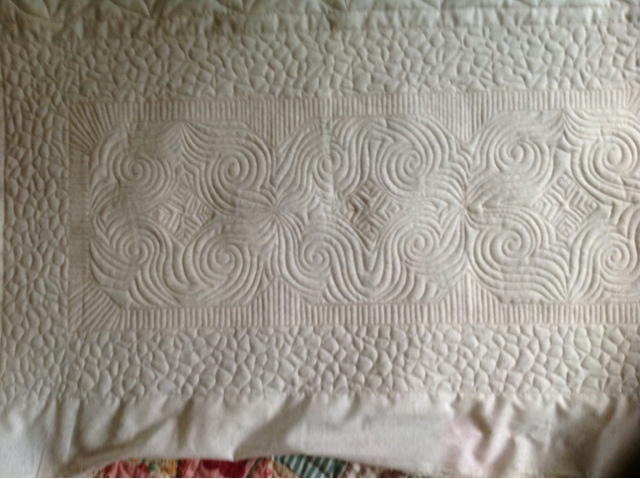 There is no pattern I just put together what I had leftover from another project.. 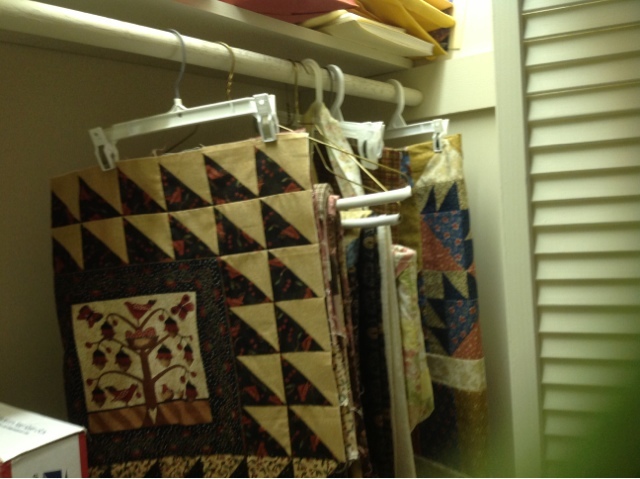 I guess now that I've had my fix....it's back to client quilts.